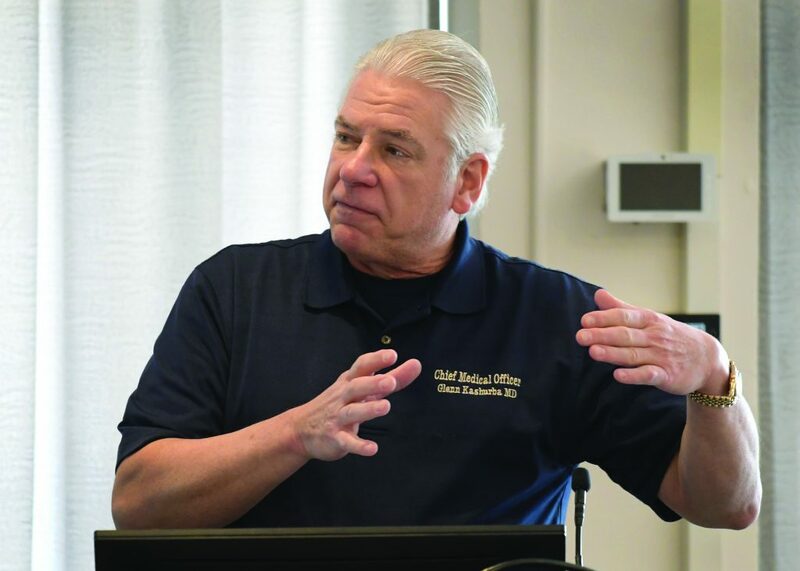 Glenn Kashurba, a distaster psychologist, spoke at the homeland security conference about his knowledge of terrorism regarding flight 93 during the 9/11 attack in 2001. Rider had its second biennial homeland security conference on April 3 in the fireside lounge. Adam McMahon, director of the homeland security masters program, set up the event, while associate professor of political science Michael Brogan and assistant professor of political science Elizabeth Radziszewski contacted the speakers. There were nine speakers and each one of them talked about their occupation and the current threats they have been researching in their lines of work. Individuals from the New Jersey Office of Homeland Security and Preparedness were in attendance and they spoke about high profile terrorism cases that originated in New Jersey, including an incident at the North Elizabeth, New Jersey, transit station. No one was hurt because the public spotted the bomb and authorities were able to prevent it from going off. Attending the event were students, staff, faculty and alumni. There were over 50 undergraduate and graduate students in attendance over the various segments. Terrorism and threats were a big part of the presentations. Scott Nawrocki, a federal agent for 19 years, talked about terrorists developing a disease that could kill off mass amounts of people. Seden Akcinaroglu is an associate professor of political science at Binghamton University. She specializes in researching domestic issues. Terrorist groups try to make good with the public by offering them benefits that their government cannot such as health care and vaccines. They do this to try to shift the perception of the people. This is what is going on with the PKK in Turkey and what Akcinaroglu specializes in researching.